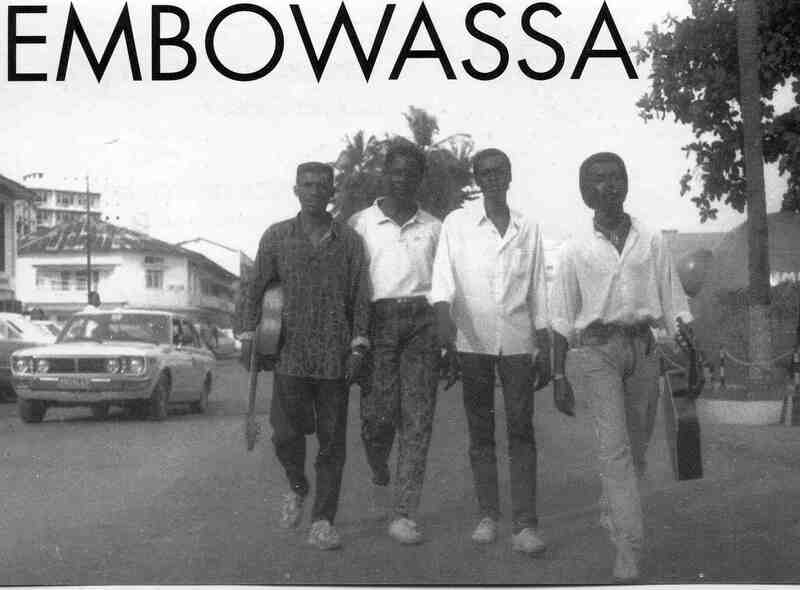 The group EMBOWASSA was created in 1985 by Didi Ekukuan (Lead vocals and guitar) Bondo Lumembo (Lead Vocals, drums and percussion), Nyoka ” Bronson ” Muyansi (Bass) and three other musicians that left quickly the group : Walla, Sona and Sassa. The name of the group is a mix of their initials. After some time Rigo Katombi (Backing vocals, violin and keyboards) joined the band. 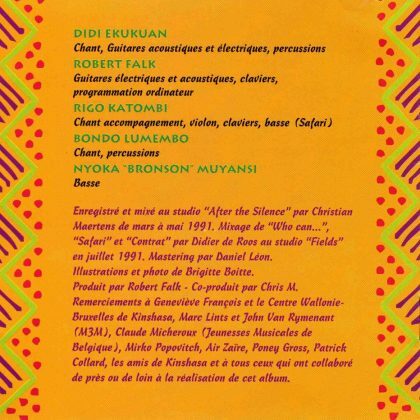 Their artistic choice was to create an original music based on the folk-music of Zaïre and not to take part of the sukus-rumba trend. 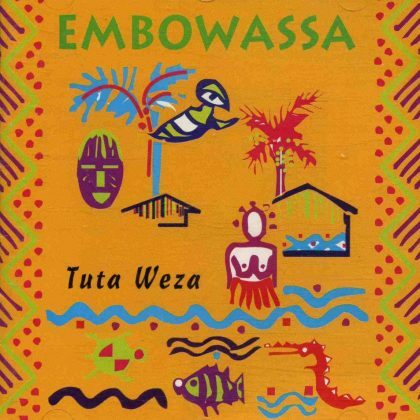 The music of Embowassa has its roots in the folklore of Congo-Zaîre and more specifically of the centre of the country. This is very obvious in their way of singing and the use of traditional rhythms such as the mutuashi of Kasai, or rhythms of the Yansi and Mbila tribes, etc. 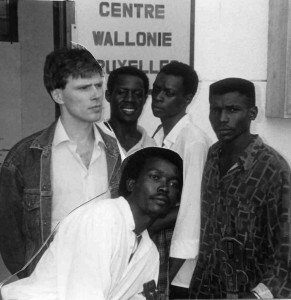 The band won in 1986 the Coca-Cola competition for Central Africa of which the price was a recording in a professional studio in Kinshasa, but their manager went away with the money. In 1987, they made a musical workshop with Jimmy Cliff from Jamaica. From 1986 to 1990, they played regularly in Kinshasa with increasing success. 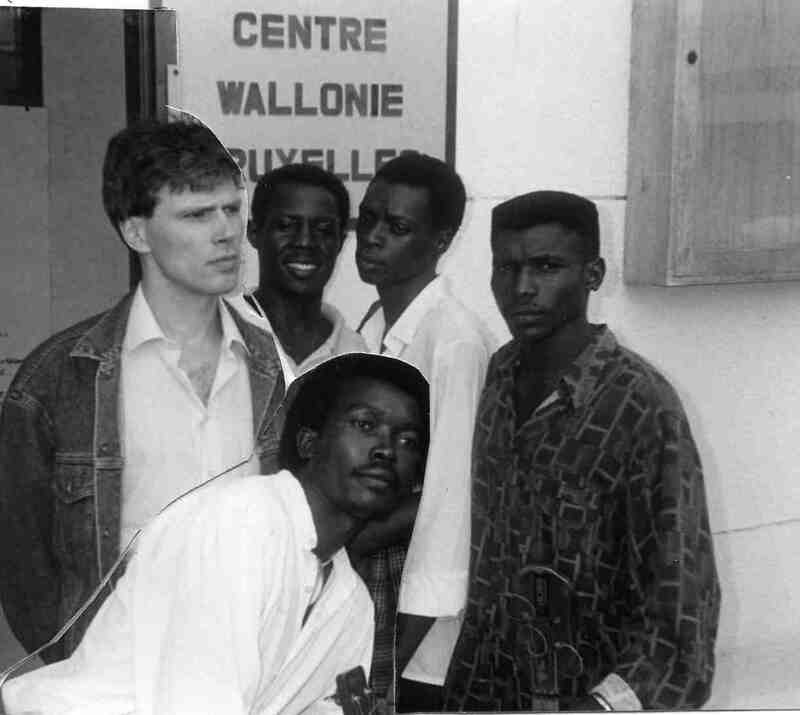 In 1989, they were selected by The Centre de la Commmunauté française of Kinshasa as students in a workshop of computer-aided music. I was one of the teachers and this is how I met them. A meeting of french-speaking music producers was organized at the same time and several participants of the workshop got interested in the band, such as Mirko Popovitch (La Vénerie – Brussels), Claude Micheroux (Jeunesses Musicales de Belgique – Brussels) or Alain Paré (Montreal). In February 1991, they were invited by the Jeunesses Musicales for a mini-tour in Belgium. During their stay they recorded the CD ‘Tuta Weza’. At the end of the tour the band fell apart : two of its members decided to stay in Europe even if it would mean becoming illegal aliens. Despite several attempts, the group never reformed. Didi Ekukuan moved to France to perform with his elder brother Lokua Kanza, who was also briefly joined by Bondo Lumembo. Rigo went to the Netherlands. Bronson is the only member who stayed in Congo-Zaire.